Posted in blog business, Mainstream Polish, Manicures, Nail Swatches, pictures, Press Sample, reviews	by Jessica W.
Posted in blog business, Mainstream Polish, Manicures, Nail Swatches, Press Sample, WOC/POC	by Jessica W.
Earlier this week, I mentioned a project I’ve been working on and I’m excited to finally reveal it to you! I have quite a few nail polishes that are press samples just sitting around and I’ve been ruminating on what to do with them – I mean sometimes they aren’t to my taste or what not. At the same time, I have been doing a lot of listening and reading from WOC/POC (Women of Color/Persons of Color) bloggers and the uphill battle many of them face. And I kept coming back to, what can I do – other than being aware? You’ll be seeing their swatches over the next few weeks, but I think you should go give them a follow now! All of them have been great to work with, they have wonderful nails and photos and should have more followers and fans. Posted in blog business, Mainstream Polish, Manicures, Nail Swatches, Press Sample	by Jessica W.
As I said a couple of days ago, it’s Sally Hansen week! I don’t think these nail polishes are new, but the Sally Hansen Miracle Gel Matte Top Coat is. Let’s check out the polishes with the new Matte Top Coat! Note on formula: all of these were fairly thin and I really had to be careful that it wouldn’t flood all over the place. But the matte top coat was easy to apply and didn’t cause me any trouble. 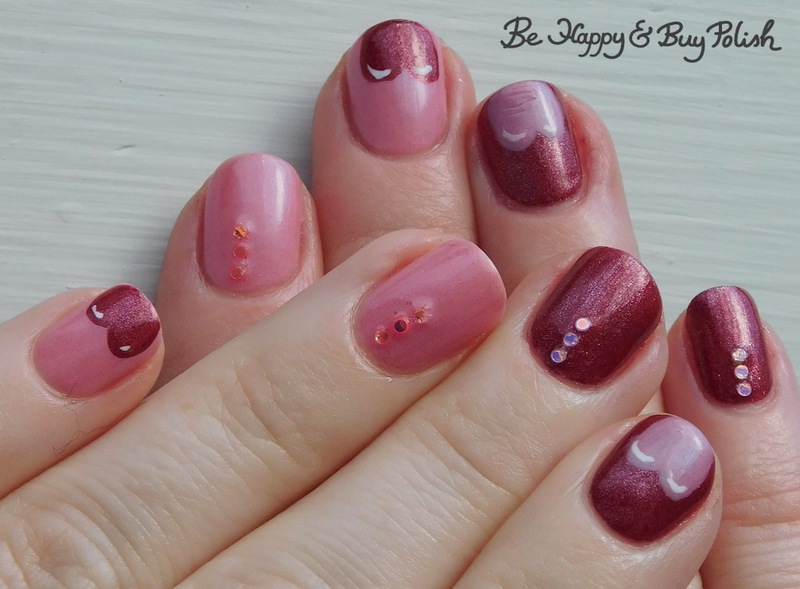 Posted in blog business, Mainstream Polish, Manicures, Nail Swatches, Press Sample, reviews	by Jessica W.
A few notes on application: I did have quite a few bubbles showing in my manicure, so that’s something to be aware of. Also, the top coat is NOT a quick dry top coat and as such, it took forever to dry!! But once it dried, it was like iron. This is how my manicure looked after 5 days, which included working out, showering, washing dishes, changing diapers, shoveling snow, and all sorts of other activities. As you can see, I had a couple of chips, some tip wear, and one nail was trying to start peeling off – but overall, really held up well! Especially since I’ve been having a hard time with nail polish lately. Posted in blog business, Holiday, Indie Polish, Mainstream Polish, Manicures, Nail Art, Press Sample	by Jessica W.
Posted in blog business, Indie Polish, Mainstream Polish, Manicures, Nail Art, Press Sample	by Jessica W.
I’ve been so excited to show off all these Valentine’s Day manicures finally! I’ve had a ton of fun creating them. 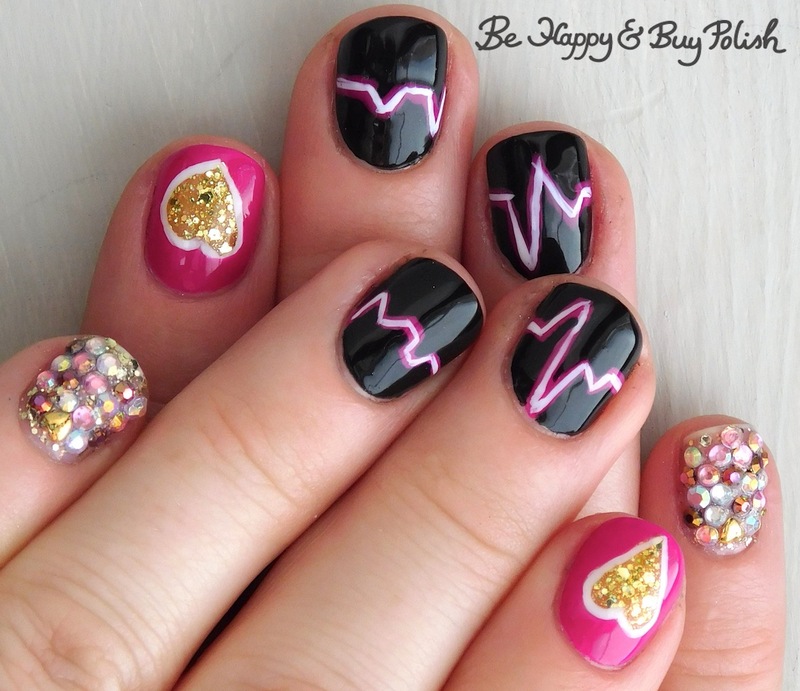 This series will last through the 7th, plenty of time do plan out your Valentine’s Day mani.